On October 1, 2015 images from NASA’s New Horizons probe, inserted Charon into our consciousness. 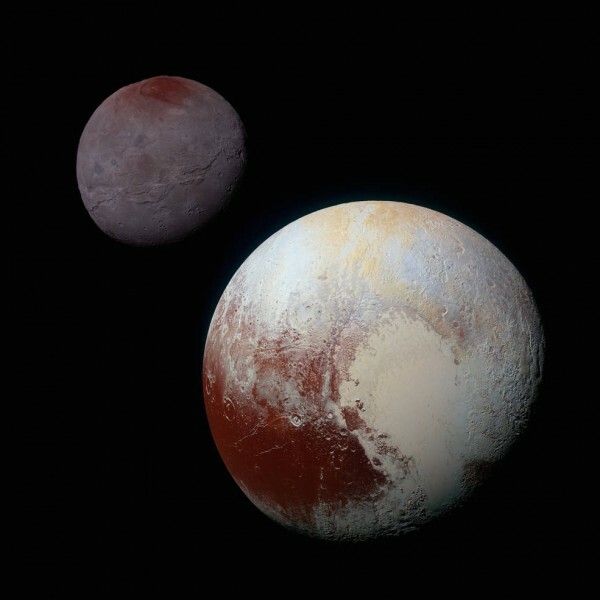 The solar system gained dimension, suddenly Pluto’s neighborhood included Charon, a moon half the diameter of Pluto and largest moon relative to its planet in our solar system. 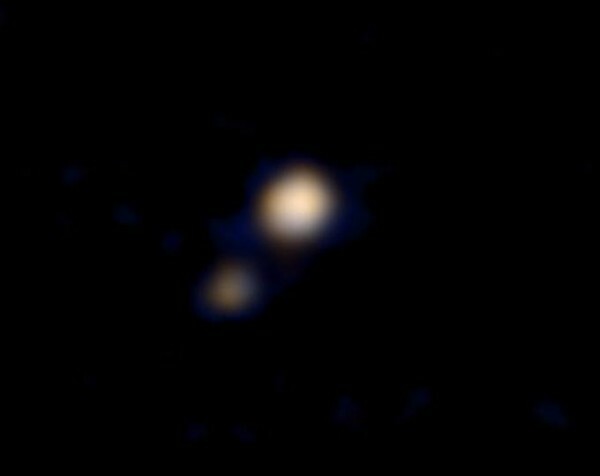 Insignificant little Pluto was part of a galactic community. New Horizons is to Pluto as Cassini is to Saturn – unassuming civil servants devoid of ulterior motive, diligent observers dedicated to truth without judgement or personal agendas. New Horizons introduced Pluto with unbiased observance, an irrefutable glimpse into cosmic reality. Part of this reality is Charon. 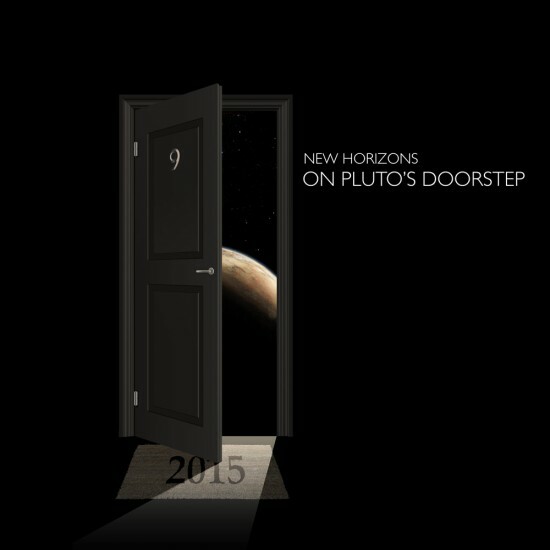 At 8:52 pm eastern time, New Horizons “phoned home”. Jubilation erupted at the John Hopkins Applied Physics Laboratory where Mission Control waited anxiously for news. 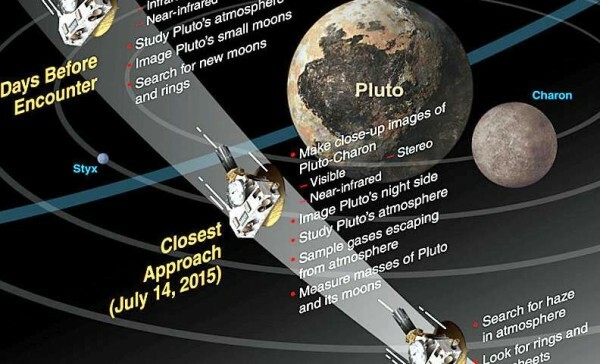 New Horizons wasn’t designed to multi-task – at 11:17 pm July 13 communications ceased for 22 hours to concentrate on collecting data. Spacecraft design didn’t allow for simultaneous observation and communication. Mission “success” couldn’t be considered until the phone rang. Ponder the magnitude of New Horizons – a miniscule incarnation of mankind’s ingenuity,eclipsing the magnitude of what is possible. Orbiting a former planet at the edge of our solar system, a cosmic dot we discovered a mere 85 years ago. 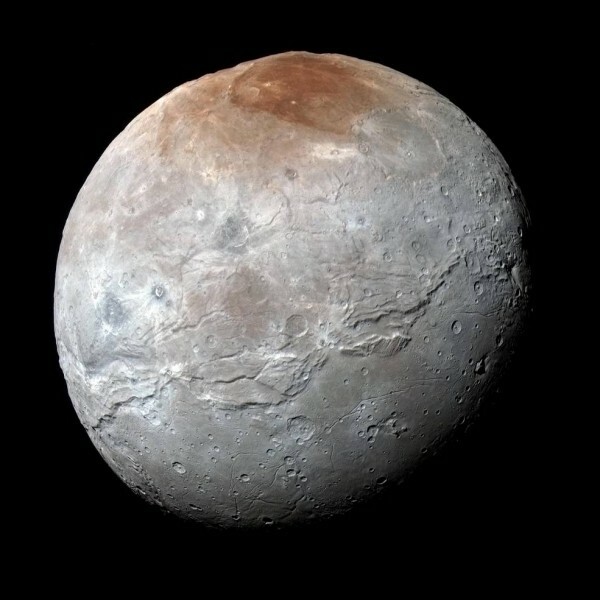 First colour image of Pluto and Charon – colours are enhanced representations comprised of images obtained by “Ralph” using 3 separate filters. This last link is the grandfather of them all – a link to NASA TV and all things Pluto/New Horizons.